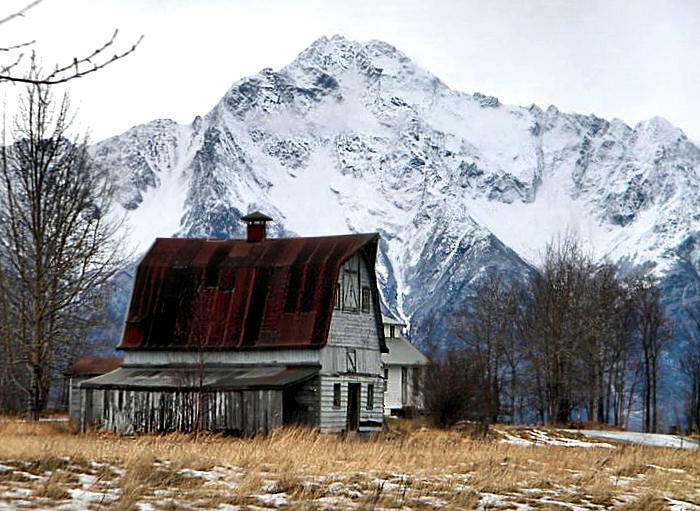 The Lawrence Arndt family came to Alaska from Wisconsin, and Mr. Arndt drew tract number 190, on what was then called the Wasilla-Finger Lake-Palmer Road, today known as the Palmer-Wasilla Highway. 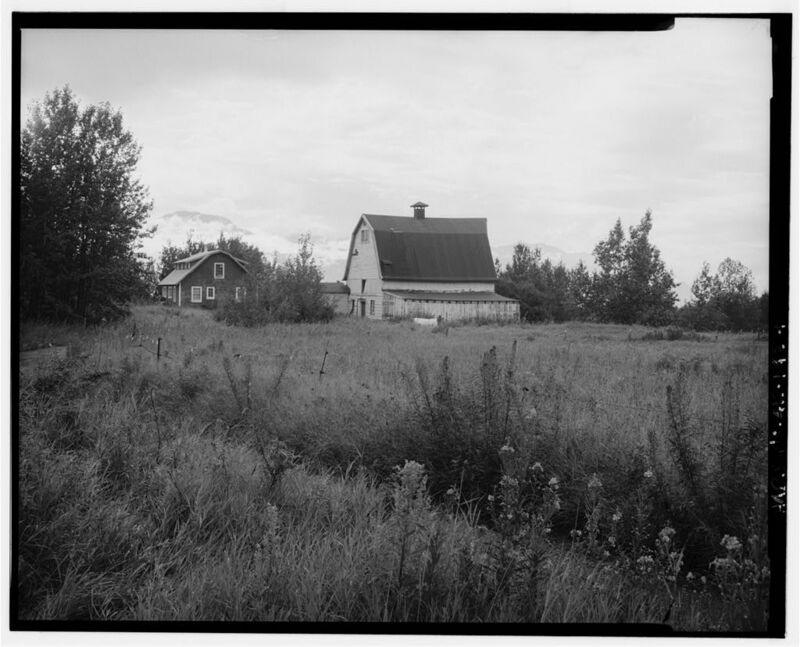 The 1940 census showed Mr. Arndt living with his wife Etta, their 18-year-old daughter Helen; his mother Emma Arndt, and three male lodgers: Edward Church, and Glenn and Rollo Kinty. 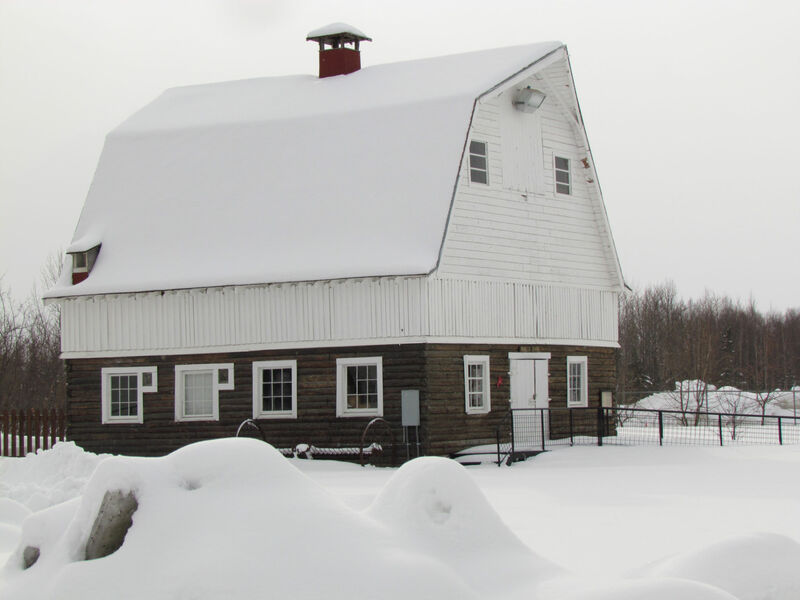 The unusual Arndt barn was one of the handful of barns which had a soaring vaulted roof design, with a high ridge peak, quite different from the standard 32′ x 32′ gambrel roof design of most of the Colonist’s barns. 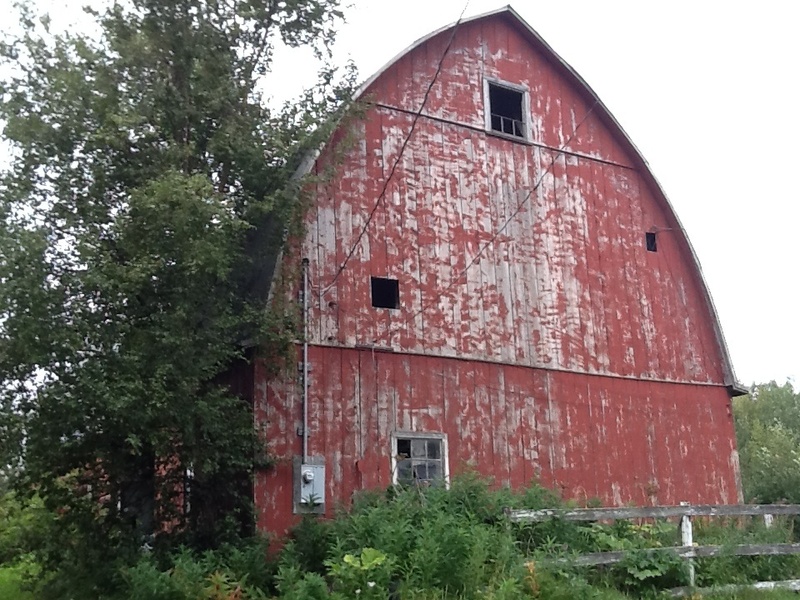 Also known as the curved or Gothic roof, the curvature was built up of boards bent to the desired radius and nailed together to provide adequate strength to support the huge roof structure. 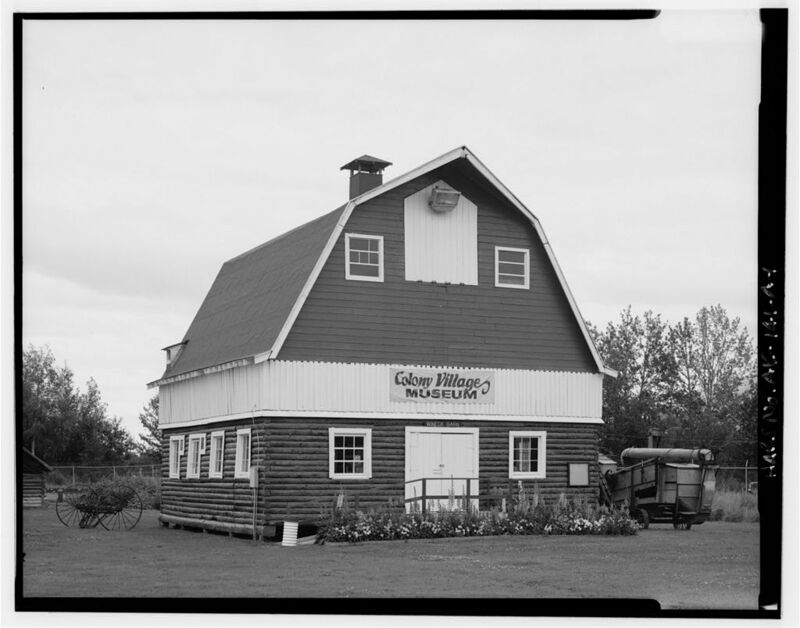 Like the standard Colony barns, the bottom section was built with three-sided logs, set on spruce pilings. 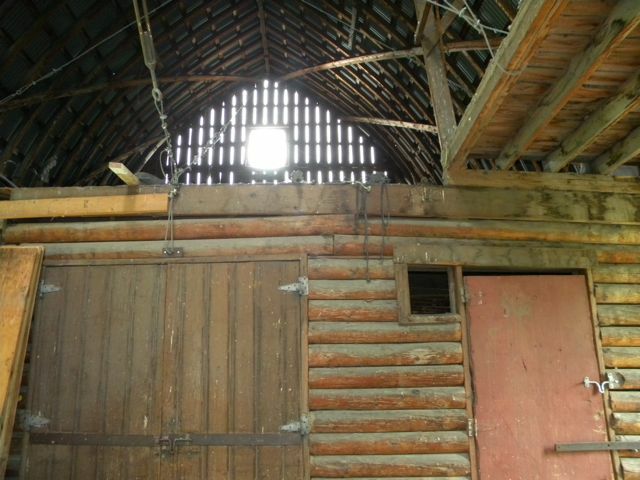 The inside of the barn was partitioned into areas of various sizes, and a storeroom under the steep stairwell which accessed the hayloft. 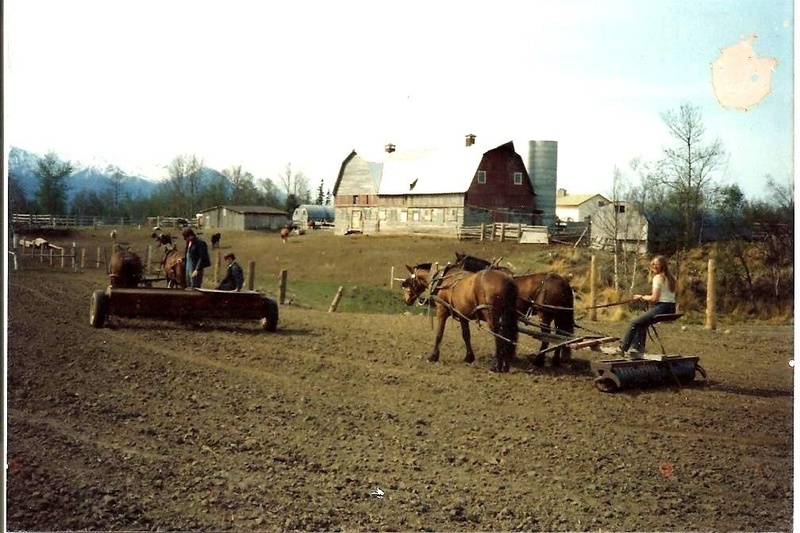 This entry was posted in Barns and tagged Alaska, Alaskan barns, Arabian Acres, Arndt, barns, barrel vault, colonists, Helen Hegener, Matanuska Colony, Matanuska Valley, New Deal, Northern Light Media, vaulted roof barn.